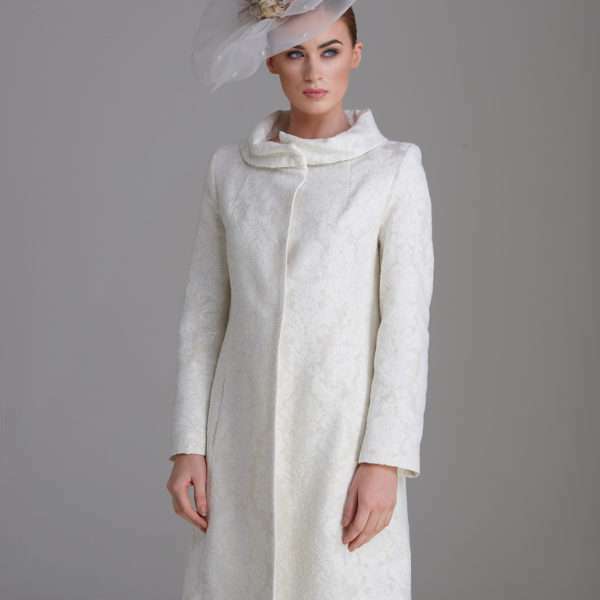 Fee G cream vintage jaquard coat 228/105. 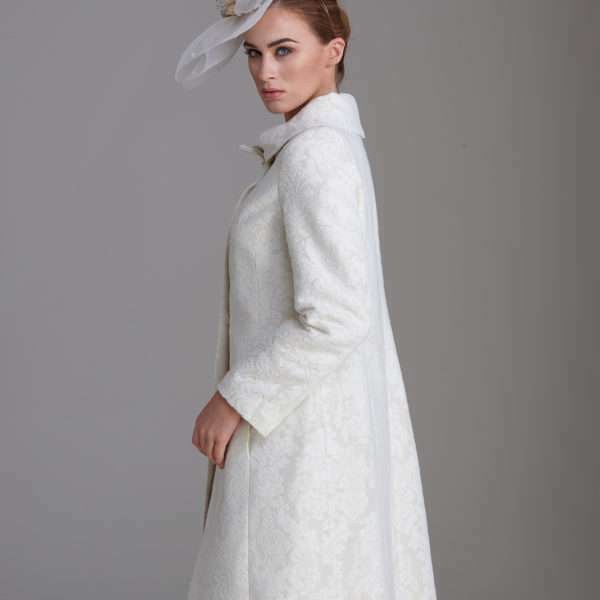 Step out in vintage inspired glamour with this gorgeous jacquard coat by Irish designer Fee G. This coat has been tailored from the most luxurious of fabrics in a rich jacquard design inlaid with delicate silver stitching. We love the classic tailoring with its folded bateaux neckline and concealed fasteners, it falls to the knee and is fully lined in the same warm cream colour. 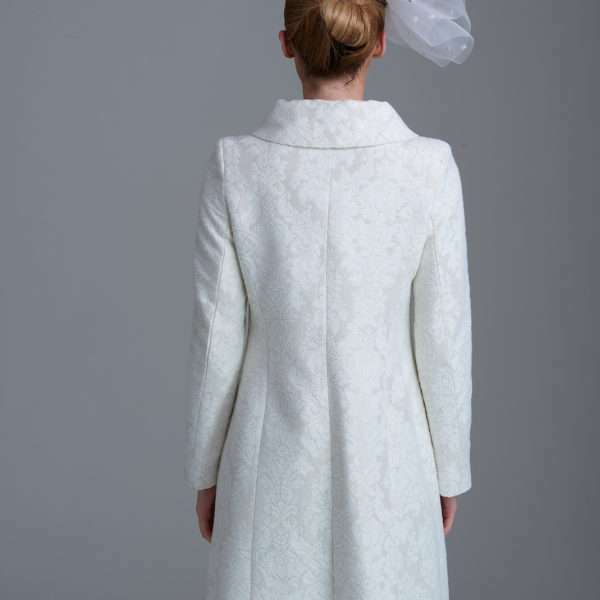 The coat has two side pockets and has been cut with a slight flare to flatter your silhouette. 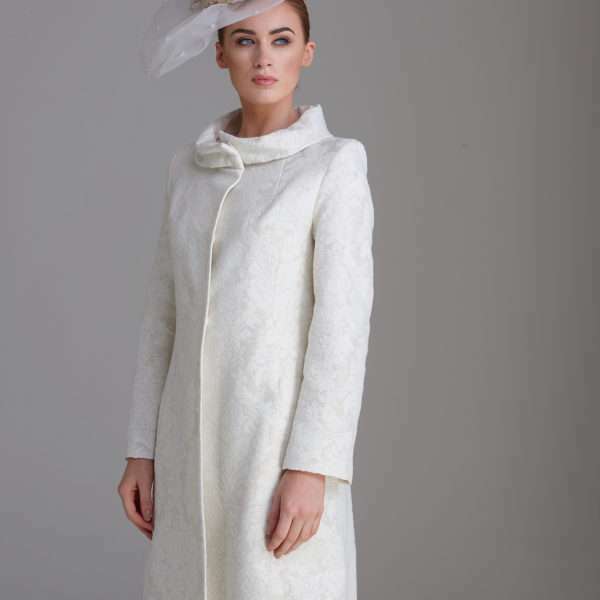 This coat will be an instant classic and is sure to be much sought after this autumn season.